Learn how to maintain efficiency when working with remote artists across the globe. The jobs are moving. The people aren't. As migration restrictions hit more socially polarised nations, it's getting harder for talented artists to chase the work around the world. Furthermore, they want to work from home – not uproot families and navigate challenging circumstances to live in the most expensive cities of the world, where you'll often find a concentration of the most desirable jobs. This issue isn't specific to the post-production industry, of course, but it's where I have the most first-hand experience, having gained it from founding VFX Legion and turning it into a global institution with a remote workforce located from one end of the globe to the other. Having a global workforce has enabled us to give artists the work-life balance they desire, but it has also pinpointed challenges around efficient global creativity. Here's how we've solved them. One of the biggest challenges inherent in global creativity is the need to drive a business and operate under singular goals from a central location, all while working with artists spread far and wide. If you do not take into consideration the needs of the artist or workforce, you will inevitably experience problems at some point down the line and things will quickly fall apart. Give your artists a voice and listen to constructive feedback about what could make things smoother. At VFX Legion we had a global workforce right out of the gate – right from year zero. When we received feedback about how we could communicate more effectively and launch workflows more smoothly, we adapted, and it made the whole process so much more efficient. 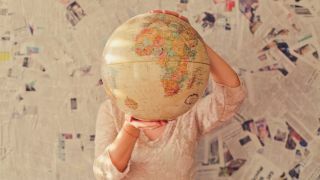 A remote workforce is by definition remote, but it still relies on a face-to-face connection. We want to see people and have those human interactions. Technology is now at a point where this is possible on a daily basis. We use Zoom Conference tools for video, screen sharing and screen control to communicate daily with our artists. A phone call is all well and good, but communication is always clearer when you fully understand the emotions of the person you're speaking with – and for that you need to see who you're talking to. Being a good manager and leader is about communicating and letting your team know you exist and that you're part of the team. Efficiency is based on being collaborative, and that doesn't mean staying mute in the background. We have a Discord server at Legion with chat rooms for each project we're working on, as well as a general chat room. We can send images, links, humour or creative ideas around very quickly. I make sure I'm always in there talking with the team and both giving and receiving updates – along with sending the occasional funny GIF. It makes everyone feel so much more a part of the team. Communicating the constant information updates around a show or a project can be relentless. Having a central repository of information like a wiki – or in our case a 'portal' – can solve this. It gives everyone on the team a central information repository, that they can easily go to and receive up-to-the-minute information about tools being used or specifics on a show. There should never be a moment where a team member is sitting at their desk, not knowing what they're doing. We launched VFX Legion thinking about this from day one, and we've become so smooth in our operations that, by the time an artist has the paperwork done and has come onto a project, they have enough information to start working. At this point, we've cut down our start time by nearly a day from when the company started. This is a huge saving – both in time and money. Artists may be remote, but they still expect to be paid fairly for their services. We've made it easy for artists to get paid for the work they do for VFX Legion. As part of our web platform, we use a 'portal' that gives artists visibility over their work – they can check out their approved shots and automatically create invoices. The whole process shocks a lot of artists that have worked for other remote-style companies – they usually don't get that level of oversight. But it's important. At the end of the day, people do this for passion, but they also need their paycheck. We want our artists all over the world to concentrate on creativity, not bookkeeping, so it's up to us to ensure they don't need to question or worry about where the next bank balance update is coming. Keeping an artist in the loop and providing quality feedback is a challenge we face every day. Visual content is an abstract thing, and notes can be complex and challenging to translate. That's why we use tools like cineSync to keep things collaborative and optical. Our supervisors will also often write up extremely detailed notes and strategies for achieving a look or a quality that is needed in any particular effect. This keeps the process moving and provides the artist with the insight into the sum total of what they are working on. Just make sure that you're doing this every day, all the time. Keep talking. Keep updating. Keep everyone on the same page. One of the biggest challenges of visual effects is that it can have long hours, many notes, and requests from people who don't understand what they're asking for. Despite that, a 'can-do' attitude will take you a long way. This is a client service industry and we're here to service clients, first and foremost. This comes in the form of communication around projects, and that communication must always be positive and aimed at completing something great. Visual effects can sometimes be a 'grumbling' industry. We've all been in that situation where deadlines are close and final versions are not. At the end of the day, though, how we communicate and how we handle that stress is a key to our success. I try to live this every day and run my company with honesty, integrity and humour – because that is who I am, and that is what VFX Legion is about. Five years on, we're still learning and growing at Legion. We're creating both local and remote teams to tackle all kinds of VFX work. By following the principles above, I truly believe that Legion has become something of a gold standard for our workforce. Other industries would do well to grow like this, and to find good people, wherever they may be around the globe. This article was originally published in issue 238 of 3D World, the world's best-selling magazine for CG artists. Buy issue 238 here or subscribe to 3D World here.